H.I.D. 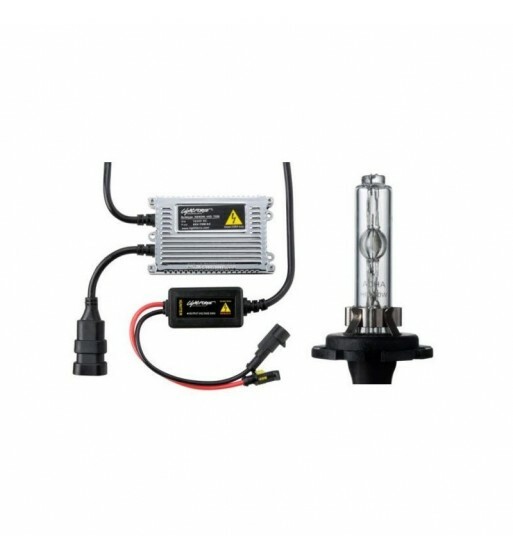 conversion kits for the popular Lightforce 240 XGT halogen lights. Designed for maximum power output utalising purpose made bulbs matched to the relevant ballast wattage output, one size does not fit all! 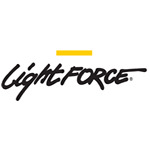 Bulbs have been designed by Lightforce exclusively for use with our parabolic reflectors. These unique bulbs reduce the shadow “V” line common in aftermarket kits. The physical size of the bulb capsule is 15% larger over the standard 35w bulb. Colour rendering is 5000°K (alternative Kelvin temperatures can be specially made to order). Only equipment required for installation is a drill preferably one with a clutch, everything else is supplied including the hole saw and hex key to remove the rear cover plate. Specialised cable glands are included that simply click into place (once the hole is drilled) with an IP 68 hermetically sealed rating to maintain the water tight integrity of the light, with a strain relief in accordance with EN 50262. Ballasts fully comply with Australian standard AS/NZS CISPR 15: 2006 for electromagnetic radiation interference. Fully sealed and water resistant compact slim-line ballast. Operating input voltage range from 8 – 32 volts therefore can be used in both 12 and 24 volt applications. Long 1.2 meter lead between external ballast and the driving light allows secured remote mounting.